With the cold throws of winter upon us, many riders will be ‘winterising’ their bikes and reverting to four wheels for the daily commute. There are some amongst us, however, that will continue the two-wheeled trek, and professional riders often have no choice but to brave the less than ideal conditions that you’re likely to encounter in the winter months. 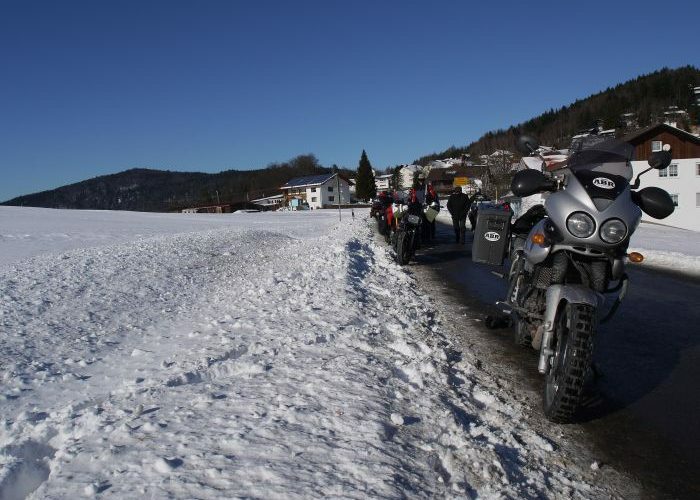 If you are going to continue to ride through the winter, as with all things motorcycling, preparation is key. It might seem obvious to say, but make sure you look after yourself. Dress correctly, in warm but comfortable motorcycling attire. Function trumps fashion in the winter, and being warm allows you to retain concentration and stay safer in the saddle. 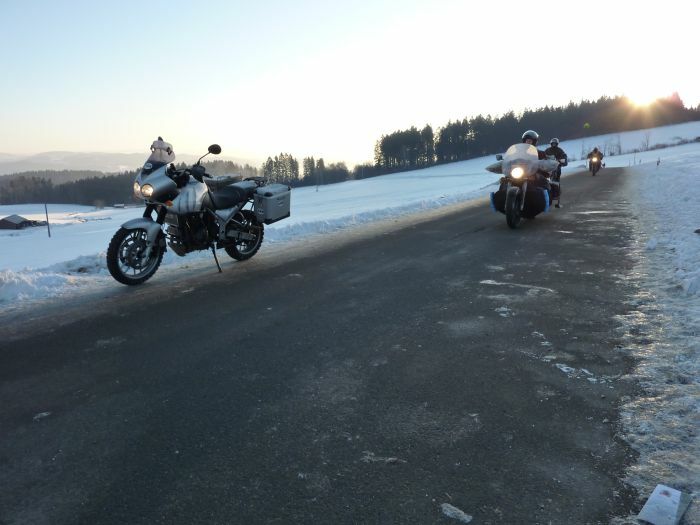 You can read more about staying warm on your motorcycle in the winter here. Now is also a good time to check your visor, those little scratches that you barely notice on a nice day will show up more on dark nights, add a bit of rain and dazzling headlights and it becomes almost impossible to see clearly. 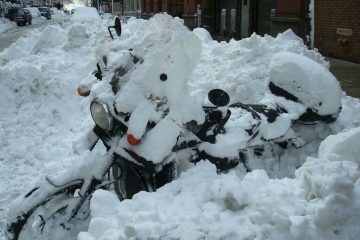 It’s essential that you look after your bike if you’re intending to ride in the colder months. A poorly maintained machine is likely to let you down and in most instances will not perform as well. A mechanical failure will at least see you stranded at the roadside (in the cold), and at worst you could be sliding down the tarmac. If a service is due, get it done. A chain is going to take a pounding from salt-laden roads, so make sure you pay special attention to yours, ensuring that it’s well adjusted and lubricated. Consider applying one of the many anti-corrosion sprays to safeguard your machine from rust. Make the weather forecast part of your pre-ride planning. You may get to your destination, but will you be able to get home? Riding a motorcycle on the road when it is covered in ice or snow is best avoided, and eventually the laws of physics will dictate your demise. 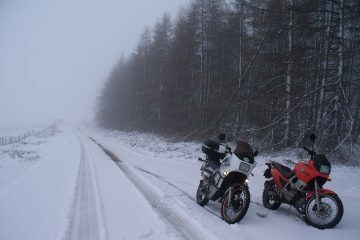 On that note, route planning is very important in winter conditions. Your favourite back road may well receive no attention from the local authority and is more likely to have ice across it than the major routes. Microclimates in rural areas can change the conditions very quickly, and riding on wet leaves can be like riding on ice and when grip reduces to zero, your skills in the saddle make very little difference. A dry line on a well-used road may be the best way to go when the temperatures drop. As the winter progresses, the pot-hole situation will only get worse, and on a dark evening, motorcycles develop an almost magnetic attraction to them. With this in mind, if you can’t clearly see the road surface ahead of you, slow down until you can. High winds may also cause problems during these months, and are a frequent problem in the UK at this time of the year. Be especially careful when emerging from building lines or from alongside high-sided vehicles. A sudden gust can cause a change of direction that neither you or other traffic is expecting. If the trees are whipping about, slow down and anticipate where you are likely to be affected. 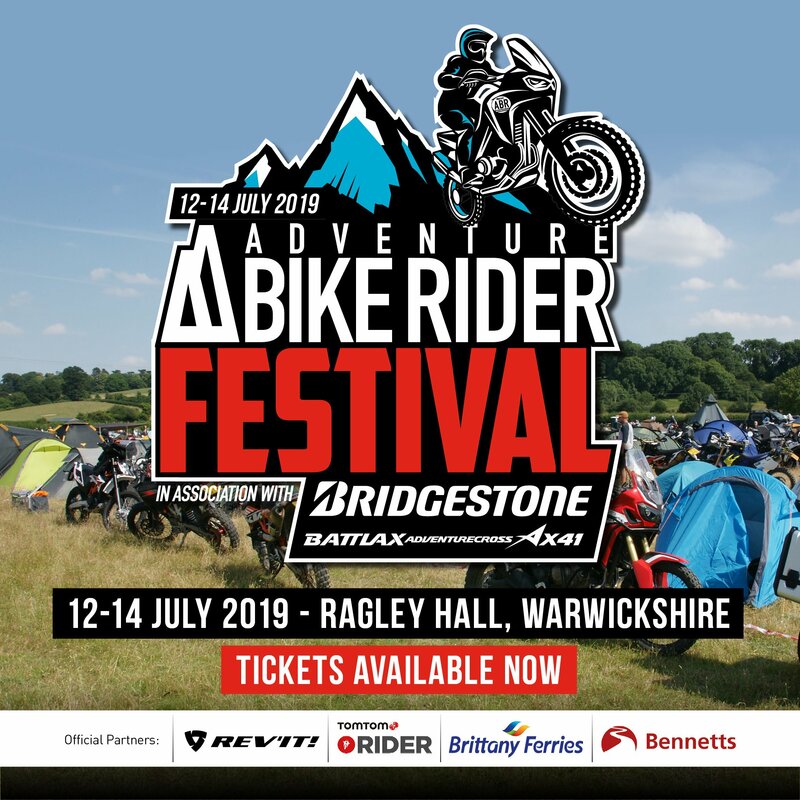 Motorcycling is supposed to be fun, and on a bright winter’s day a blast around the countryside can be a real pleasure, but be realistic. If the temperature is below freezing or the snow has already arrived, not only has the pleasure gone, but there is a real chance of you damaging yourself or your bike. 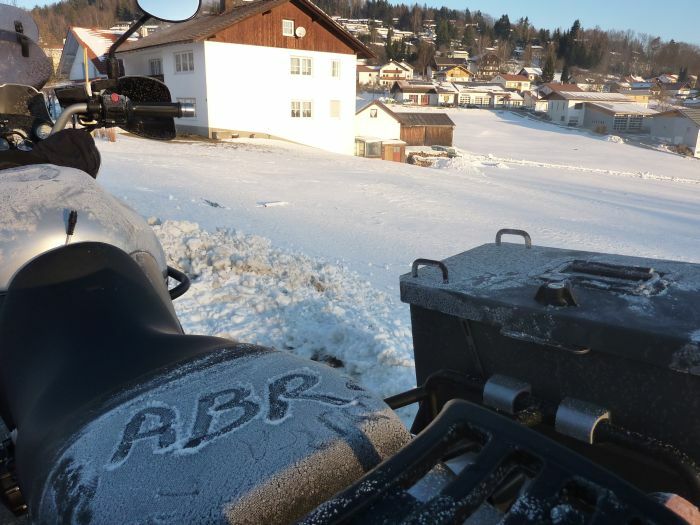 On the ABR Forum this week: What kind of winter biker are you?